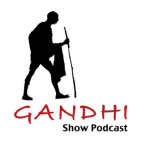 Gandhi Show Podcast: “Tell Me Something Good” – Page 6 – GANDHI, IS THAT YOU? with TJ Del Reno, Brendan Fitzgibbons and Lance Weiss. Due to other projects, the podcast is currently not active, but you can enjoy past episodes below!